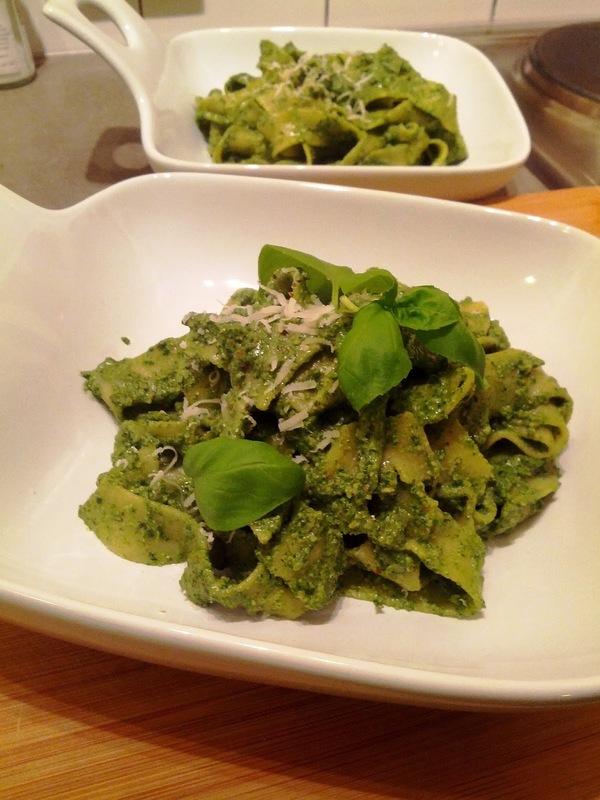 Traditional pesto calls for pine nuts & basil which can be expensive so I've swapped out a few ingredients. 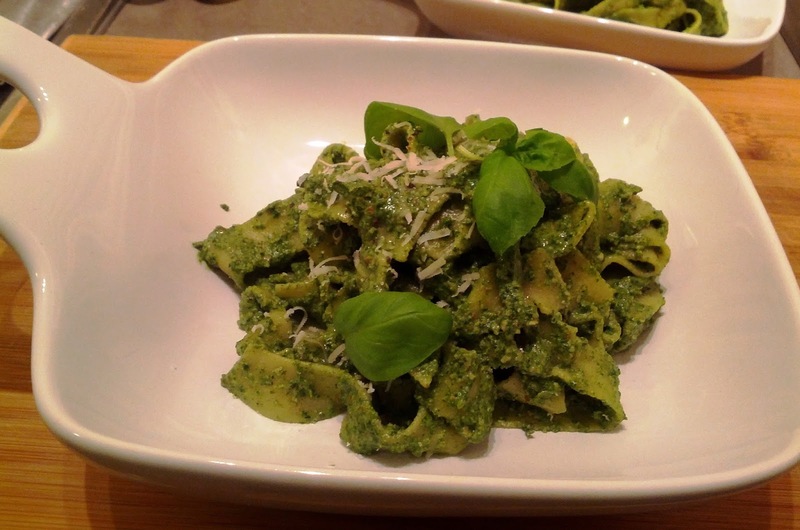 This recipe is great for using up those almost manky spinach leaves you have hanging around the bottom of the fridge or any type of green leaf vegetable such as kale, swiss chard or silverbeet. With the exception of baby spinach leaves I lightly steam my greens beforehand. I've swapped out the pine nuts for walnuts but I've also used unsalted cashews with great success. I'm continuing experimenting with different types of nuts such as almonds, cashews, Macadamia, brazil & pecans. I always toast them slightly first as it helps to bring out the flavour, for example, walnuts can be bitter and toasting them brings out their sweet nutty flavour. I also try & buy nuts in their shells as they keep longer in the fridge plus you get the added bonus of cracking them open (I use a hammer!) for a bit of after work stress release. Bunch of kale or leafy green, roughly chopped & steamed slightly, I normally end up with about 1 - 1 1/2 cups. Drain after steaming but you don't need to be too fussy about draining all the liquid, just add it into the blender. Sometimes, I blanch in cold water but I forgot to do this last night & didn't notice any difference. Just make sure you don't over cook the greens. Cook pasta according to packet instructions, drain & set aside. Lightly steam the roughly chopped leafy greens, drain until most of the water is gone and throw into a food processor. Toast the nuts either on a oven tray at 180oC or in a pot over medium-high heat until golden brown. Keep an eye on them! Place the nuts, cheese, olive oil, garlic, lemon & seasoning into the processor & puree until smooth. Check to see if you need to add more parmesan, olive oil or seasoning. Into the drained pasta tip pesto in and mix until all the pasta is coated with the yummy pesto. Serve with some freshly cracked pepper & a bit more parmesan cheese. Enjoy!